People lined up all night in Louisville just for a shot at free tickets to Friday's Muhammad Ali memorial service. 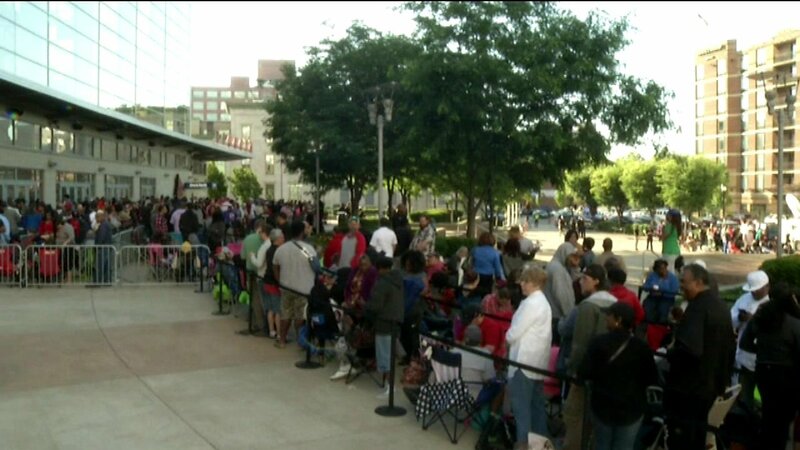 LOUISVILLE, Ky. (WLS) -- People lined up all night in Louisville just for a shot at free tickets to Friday's Muhammad Ali memorial service. Ticket windows opened an hour and a half early and 15,000 tickets were gone in just over an hour. Police were on hand to keep the line organized. Many people were turned away but say they'll still pay their last respects to Ali, who was born and raised in Louisville.